If we’re to believe Sigmund Freud, then all that matters is love and work. Certainly everyone endeavors to succeed in both, but far too often one gets in the way of the other. That is, unless you’re like the couples profiled below. 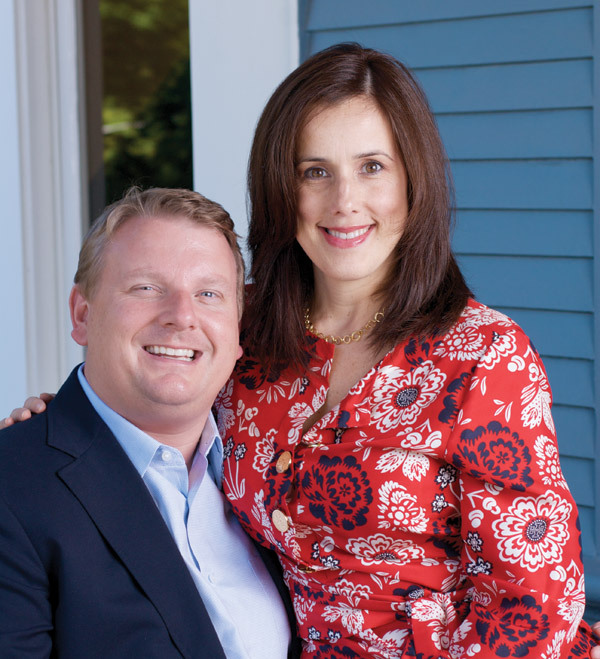 Although decades apart, they all have something in common: They have struck a happy balance between their married lives and their careers, and they owe much of that happiness to the place that put them on the path to both—the Owen School. Greg was in Dean Igor Ansoff’s office, which overlooked West End Avenue, the day Minh-Triet arrived on campus. “I looked out the window, and coming down the sidewalk was this beautiful creature,” he says. Their initial introduction, however, didn’t go as well as he’d planned. Minh-Triet explains that she had a difficult time understanding Greg’s Southern accent. After graduation Minh-Triet joined the MITRE Corp. in Washington, D.C., as a consultant. Greg continued at the school as its first Director of Admissions and Placement. In 1976 Greg enrolled in law school in Washington, and in 1977 they married in Constitution Gardens. During the Reagan administration, Minh-Triet was on the White House staff as Senior Policy Analyst for Science and Technology, while Greg practiced law with the Covington & Burling firm. The couple dreamed of retiring to a farm, and it just so happened that one neighboring Greg’s aunt’s property outside Nashville became available at the same time his client HCA asked him to return to Middle Tennessee. It seemed “divinely planned,” says Minh-Triet. Today they are proud parents of a daughter and son, Brigitte and Burney, who are 2006 and 2008 Vanderbilt graduates, respectively. Renz tracked Barr down, and they soon became friends. After graduation Tom joined GlaxoSmithKline in Pittsburgh. Renz was then with Kraft Foods in New York City, where GlaxoSmithKline’s ad agency is located. They began dating, even after Renz moved to Seattle to work for Amazon. Tom began taking Friday night flights from Pittsburgh to Seattle and then red-eyes home on Sunday. “After a year we thought, ‘This is crazy. We have to figure out how to make this work,’” Renz says. Before they even began exploring opportunities, a headhunter contacted Tom about coming to work for Starbucks Coffee Co. Tom is now the Vice President of North American Marketing for the coffee retailer, while Renz is a Vice President with Endless.com, Amazon’s shoe and handbag Web site. “Whenever I need business advice or want to talk to my best friend, I turn to Tom. We have a great network of friends through Owen,” she says. Tom serves on the Owen Alumni Board, and the couple participated in last winter’s Marketing Camp. They also have two children—prospective students for the Owen classes of 2031 and 2032, no doubt. Donna Wilkinson knew it was true love when Jeff agreed to help her cater an engagement party for Owen’s Director of Corporate Relations, Peter Veruki. The commitment meant that Jeff, a diehard Duke fan, would miss the NCAA regional finals basketball game between the Blue Devils and Kentucky—a game that many pundits consider the best ever played among the college ranks. Donna, at the time, worked with Veruki in the Owen placement office. “I used to go into the placement office every day ostensibly to find a job,” laughs Jeff. The two first met during an ethics breakout session Jeff helped facilitate during first-year orientation. He remarked about the prevalence of Duke graduates in the group, and Donna, a Duke alum herself, introduced herself afterwards. 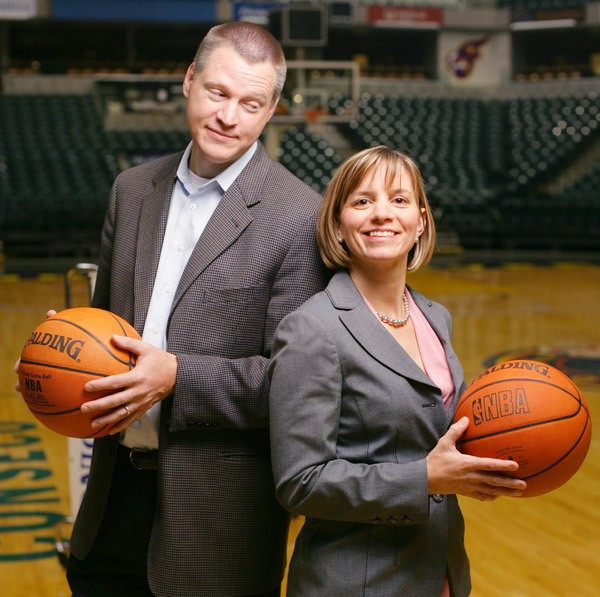 Jeff moved to Atlanta to work for Accenture after graduation, while Donna began her career with Sara Lee in Memphis, Tenn. The couple timed their December 1995 wedding to coincide with the completion of her management training at Sara Lee and a transfer for both of them to Dallas. 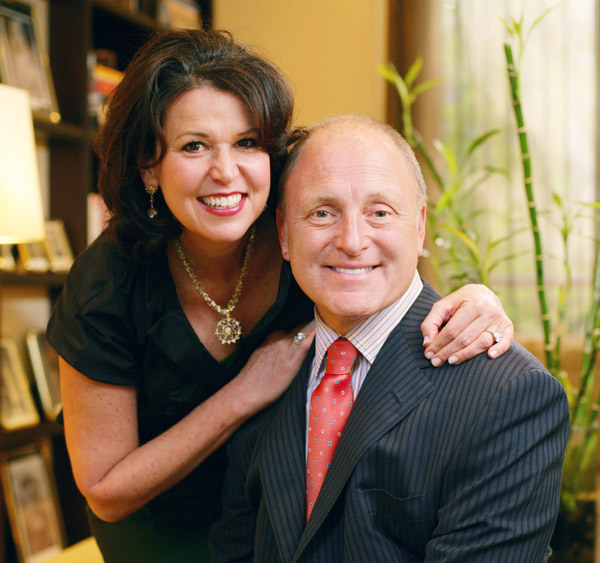 When Vicki and Bruce Heyman paired up during a New Venture Creation course, they had no idea how it would change their lives. Taught by longtime Owen Professor Ed Bartee, the course not only introduced them to some of their closest friends but also sparked a romance that would last a lifetime. “Our first date was Lamar Alexander’s governor’s ball,” says Bruce, a Managing Director for Goldman Sachs, who is the firm’s recruiting captain for Vanderbilt. 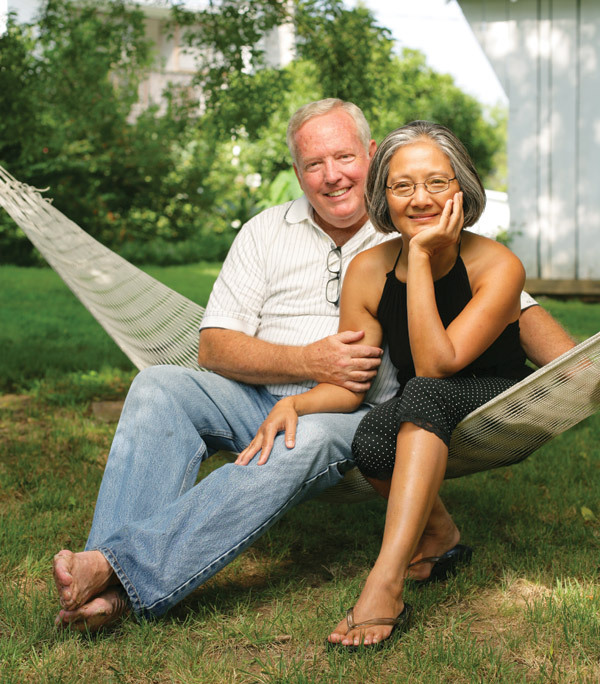 The Heymans have remained very involved with the university, serving as co-chairs of their 25-year reunion in 2005. Vicki also has served on the Vanderbilt Alumni Board and on the Hillel Board for the Schulman Center for Jewish Life. “Our participation has been exciting for us because we’ve been part of the upward trajectory of Owen. It’s also come at a very exciting time because our kids have been going through the college process,” she says. Their youngest daughter, Caroline, is a high school senior, and middle daughter, Liza, is a Vanderbilt junior. Their oldest child, David, is 23 and an analyst in the foreign currency sales and derivatives department at JPMorgan, which, coincidentally, is the position Vicki held for four years after working in recruiting at Bankers Trust. 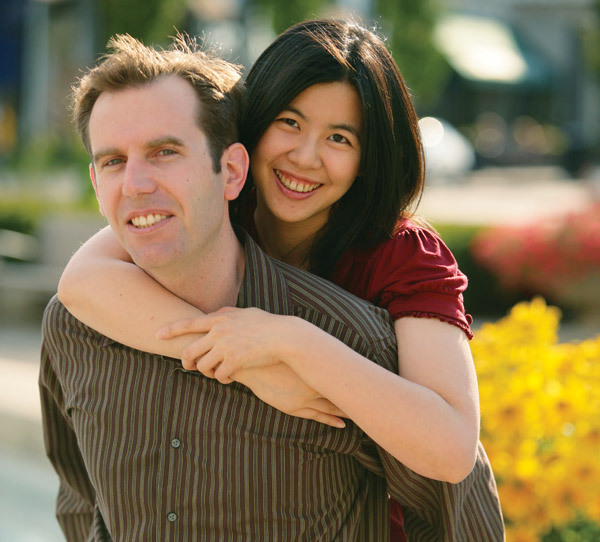 Elaine Wu and Jon Weindruch’s first date, an informal meet-up at a coffee shop, never happened. “Elaine stood me up,” jokes Jon. In reality, Elaine was a newly trans-planted international student stuck outside of downtown Nashville during a thunderstorm without a car or Jon’s cell phone number. The two first met during a retreat about ethics sponsored by Cal Turner, which brought together students from Owen, as well as the Divinity School, Vanderbilt Law School, and the School of Medicine. They started dating during their second year, and Jon, who founded the Web-site strategy consulting company Websults while at Owen, followed Elaine to North Carolina, where she worked for Hanes after graduation. In May 2005, during a return visit to Nashville, Jon proposed to Elaine at Percy Warner Park. They were married six months later in Taipei, Taiwan, by a pastor who had pursued his Ph.D. at Vanderbilt Divinity School. Some of their Owen friends also traveled to the wedding. Elaine is currently Director of Internet Marketing for Victoria’s Secret, which operates the biggest retail apparel-accessory Web site in the United States. The couple lives in Columbus, Ohio, and Jon travels regularly to Nashville to consult with several clients, including the Owen School, which he has been assisting with Internet marketing. Awesome article. Those are some good looking couples there and not to mention they all look so happy. Kudos to you guys and all of them! WHAT DO YOU REMEMBER MOST ABOUT YOUR FIRST DATE WITH YOUR SPOUSE? I remember coming around the corner and thinking, “Wow.” It really wasn’t a planned date, but it became one after I saw her. He had a machete in his belt and was driving a HUGE Buick Park Avenue. Oh yeah, it was some sort of costume party. We ended up going dancing afterwards. 12th and Porter. Great food, plenty of drinks, and many laughs. The first date is debated in this household. Edgar believes it was at Sbarro at Green Hills Mall. I believe it was a candlelit dinner at some nearby restaurant. I think our first date was a game of squash at the Rec Center and then dinner at Cafe Coco. She thinks our first “official” date was bowling at Melrose Bowling Lanes and then Zanies Comedy Club. Either way, I remember trying to beat her at both bowling and squash. He cleaned his car for me—misleading me into thinking he was a neat person! I remember thinking he had to come from a good family because his mom had sent him back to school with a cooler full of frozen homegrown field peas and cream-style corn. I found that very attractive. We met on the first day of class while approaching the school. She asked me for directions even though a large sign saying “Welcome Owen Students” was clearly visible. After a keg reception for new students, I invited her to Rotier’s for a hamburger. We didn’t date again for six months. I cooked dinner for him, and it turned out all wrong. He was a much better cook (still is!) and was very gracious during that first date. He helped me figure out how to fix the dinner, and that began the relationship we have today! Everything. Sam Shepard’s Fool for Love. Dinner at a Chinese restaurant. That there would be a second date. Eating dinner while sitting on the floor. It was my first time at a traditional Thai restaurant, and although the food was amazing, getting up and down from my seat wasn’t the most graceful thing I’ve done. We went to the Italian Street Fair in Nashville, and the thing I remember is riding these swings that we now refer to as the “kick booty ride.” The idea was that you’d push the people in front of you with your legs so that they’d fly faster and higher. We went on that ride several times, and we’ve been kicking each other’s booty ever since. Talking about how excited we were to start business school and feeling like we had so much in common right away. His perseverance, humor and kindness. Her attention to detail (which incidentally is also my biggest pet peeve about her). Her absolute devotion to those she loves and to the interests she pursues. He is loving, intelligent, funny, and a great father to our children. I admire David’s sense of humor even during times of tremendous stress. I also admire what a loving and affectionate father he is to our two boys, Jameson and Payton. Helen has maintained independence and achieved success without making some of the sacrifices that many career women have to make. She does it with enormous energy and a tremendous heart. His ability to listen and provide sound, encouraging advice. Stephanie’s ability to connect with all sorts of people. Steve’s utter confidence in me: letting me do my own thing and have an individual personality and life, as well as our life together. Besides her beauty, I would say communication skills. Elaine speaks English better than most Americans even though she has only been in the United States since 2002. Elaine is a native Chinese speaker. WHAT’S YOUR BIGGEST PET PEEVE ABOUT YOUR SPOUSE? She drapes things on door knobs. Who knew they could be used as hangers for clothes and purses?! His frustrations with his golf game. She doesn’t always wear matching socks. His nightly habit of leaving jugs of Pace picante sauce and bags of chips opened around the house! Who needs Wikipedia? He knows everything. Inability to keep the house neat. She keeps bothering me about getting a pet. My only pet peeve is that we don’t have a pet! Is this a Cosmo survey? He has an MBA yet doesn’t know how to make a five-year-old’s lunch. He hardly ever closes doors after opening them—closet doors, cabinet doors, etc. A friend suggested that the next time he drops me off to park the car that I just get out and walk away without closing the car door. I have yet to do that. I just can’t. WHO HAS BETTER BUSINESS SENSE, YOU OR YOUR SPOUSE? She does, but she would never admit to it. He thinks he does, but I believe that I do, at least with big decisions. He is great at making everyday decisions, and I am better at making the once-in-a-while big decisions in life. It’s not a matter of being better. It’s a matter of being different. He’s an EVP of Finance for Sovereign Bank, so he’s very concerned with the bottom line. I’m in market research and am much more concerned about evaluating and predicting marketplace behavior. I am a better salesperson, but Kevin is much stronger at looking at the bigger picture. Bruce is a great strategic and long-term thinker and delegator. I’m hands-on and very thorough and organized. We are both good motivators of people. We both are good, but he is the only one who reads the small print. I am the bigger risk taker, and I have a better gut feel for business opportunities. That said, she has more sense. I do about most things except people. She can read people better than I can. Definitely him because I’ve forgotten too much! As a homemaker and volunteer, I’m probably more organized, but he’s the true business genius. This will sound WAY too politically correct, but I think we are each strong in different areas. We capitalize on this diversity and frequently bounce ideas off of one another. This one is tough. We have such different strengths. I love being able to come home from work and ask his advice since he has a different perspective and great business sense. Me, but it hasn’t been tested for a while unless you count negotiating with teenagers. IF YOUR SPOUSE HAD TO CHOOSE ANOTHER LINE OF WORK, WHAT WOULD HE/SHE BE BEST SUITED FOR? Graphic design. He loves to tinker on the computer and has a creative side. Although Steve has had a very successful career in commercial real estate, he would be a great high school football coach. Interestingly he gravitates toward medical topics. I think that he would have made a great doctor. Matt is a great philosopher and has a gift for sales. Not sure what that qualifies him to do in his next career. Perhaps tourist vacations with the Dalai Lama? Seriously, he loves investing. Maybe a money manager? Quen’s dream is to open a restaurant one day. He is a grilling and cooking aficionado. I bet he could beat Bobby Flay at a barbeque cook-off any day of the year. Motivational speaker or career coach. Building houses for Habitat for Humanity. I am firmly convinced that my wife could be the best teacher in the world. I watch her with our children, and I am amazed. I think he would be a terrific mentor of some sort. Over the years I have consistently been amazed at the number of colleagues, employees and friends who have sought out Craig’s guidance on career and other business decisions. Hostage negotiations working for the SWAT team. She would drive any hostage-taker to tears of frustration with her relentless persistence and Vulcan-like logic. The hostage-taker would clearly see the futility of the situation and surrender without violence. Probably sales or account management. The sales team at every company he’s worked for adores him and he’s been told by a lot of people that he’d be good at it. Shall I Compare Thee to a Summer’s Pay?